By Jerry Maglunog Online business caters mostly to people who are very busy or live too far from the city proper. 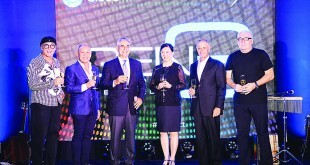 It is in these scenarios that the likes of Lazada, Zalora, Carmudi, OLX or Autopinoy.com have become a household name. 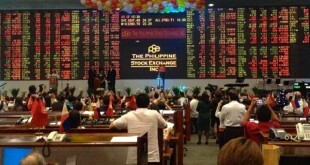 The Philippine Stock Exchange’s (PSE) benchmark index (PSEi) continued its recovery after closing the week at 7,098.81, from the previous day’s 7,022.09 finish, marking the fourth straight day that the index closed higher following the sharp drop of the market on Monday, when the PSEi followed the global decline of market prices. 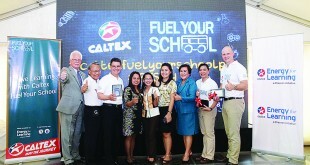 About 3,000 students from public high schools in Metro Manila are now learning science, technology, engineering, and mathematics (Stem) with the help of brand new equipment received recently from the Caltex Fuel Your School (FYS) program of Chevron Philippines Inc. (CPI), marketer of high-quality brand of Caltex fuels and lubricants. By Jerry Maglunog A growing population, booming industries, mining potentials and tourism growth are just some of the reasons Maybank, Southeast Asia’s fourth biggest bank by assets, said the world is coming to Asia, specifically the Philippines. By Jerry Maglunog An estimated 70 percent of the country’s 38 million credit and automated teller machine (ATM) cards may not be able to migrate to the Europay, Mastercard and Visa (EMV) chip from the current magnetic strip in the next two years, which should be a cause of worry for an ATM or credit-card owner. Online accounts surged by 35.1 percent to 174,592 last year from 129,255 in 2013. Of this total, 99.6 percent or 173,895 were retail accounts. 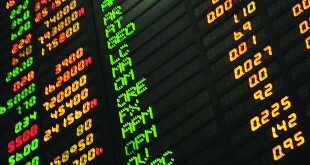 Since 2009, online accounts have grown at a compounded annual growth rate of 43.9 percent, the 2014 Stock Market Investor Profile report of the Philippine Stock Exchange Inc. (PSE) showed. 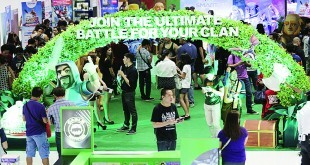 SM Supermalls, through its technology and lifestyle center Cyberzone, held this month its annual Cyber Month Tech Sale, a month-long indulgence for the tech-savvy, game geeks and gadget lovers. 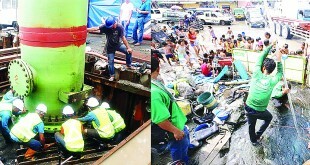 By Lito U. Gagni There is a looming water crisis in the country whose breadth and scope is unprecedented and yet the government and populace remains clueless to the worst El Niño phenomenon to hit the globe.